Proposals for what is likely to be one of the biggest road and pavement improvement programmes of any London borough are being published this week. 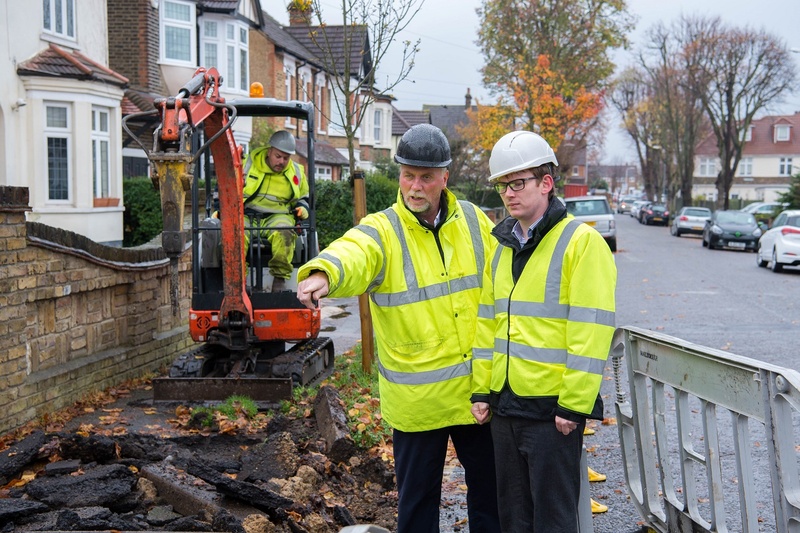 In 2019/20 budget Havering Council is setting out proposals to spend £30 million over the next three years on resurfacing roads and pavements and fixing potholes, which is a significant increase on the current (2018/19) budget of £3.2 million. It comes in direct response to what residents say is a major issue. Council Leader Cllr Damian White says that the budget proposals, which will be discussed at next Thursday’s (29 November 2018) special Cabinet meeting, responds to the issues that matter to our residents the most, following a budget consultation and Residents’ Survey. Consulting with residents on possibly extending controlled parking in the borough to deter commuters from parking in residential streets. Reducing traffic congestion by stepping up traffic enforcement through the use of CCTV at key junctions which will go hand-in-hand with improved signage to make the rules very clear as well as a period where people will receive warnings rather than fines. Bringing the level of council tax support, where people who claim unemployment or disability benefits receive a significant discount, in line with other London boroughs. It is proposed that the discount for working age unemployment claimants changes from 85 per cent to 75 per cent, while the discount for people on disability benefits changes from 85 per cent to 80 per cent. Increasing the council tax surcharge on properties that are empty for two years or more from 50 per cent of council tax to 100 per cent, as an incentive to landlords to bring them back into use. This would mean that owners of properties that have been empty for two years or more would pay double the amount of other council tax payers. Making changes to public conveniences by removing out-dated facilities and increasing access to existing community facilities in places like shops, pubs and restaurants. Reviewing the number of buildings that the council owns with a view to bringing public services together where possible. The Council wants to safeguard local libraries by encouraging continued community involvement in the delivery of services, while extending opening hours in main libraries. Increasing parking charges to make a contribution towards the cost of improving roads and pavements, which includes introducing a charge for Sunday parking. Free parking would be retained in local shopping areas. Reviewing charges for Adult Social Care with the focus on ensuring that people who can afford to pay make a small contribution towards the cost of care and equipment in the home. Reviewing youth provision by looking at ways in which the council can work more closely with disadvantaged young people, including those at risk of being lured into gangs. While there may be savings in specific areas by doing things differently, the Council wants to increase targeted support for vulnerable young people. The budget proposals will be discussed at Havering Council’s Cabinet meeting on Thursday 29 November before final budget proposals, along with council tax levels, are agreed at Full Council on 20 February 2019.